Click here to learn about the differences between marine vinyl and standard vinyl. 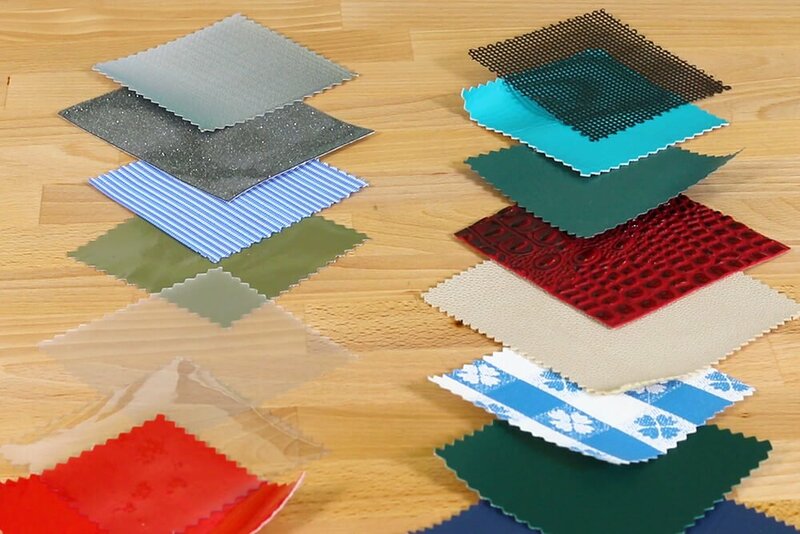 Click here to learn more about clear vinyl fabric. We used faux leather to make a vinyl handbag. Click here to see the tutorial. 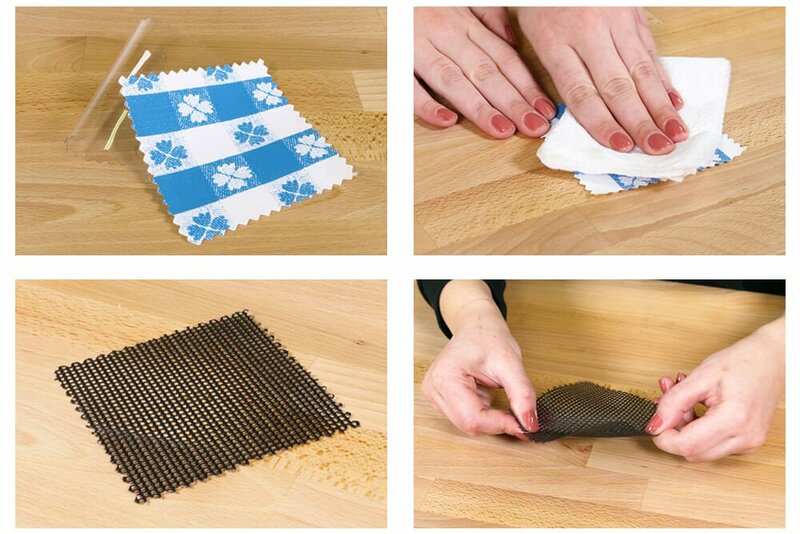 Flannel backed vinyl and clear vinyl are popular for protective table covers, and most vinyl can easily be wiped down to clean up spills. Vinyl coated mesh is most commonly used for applications like deck shades. It provides a barrier without compromising flexibility and durability. Depending on the backing, some vinyl fabrics have a stretch in them, which makes it easier for upholstering furniture. Vinyl is sometimes called faux leather because it’s a great alternative to real leather. 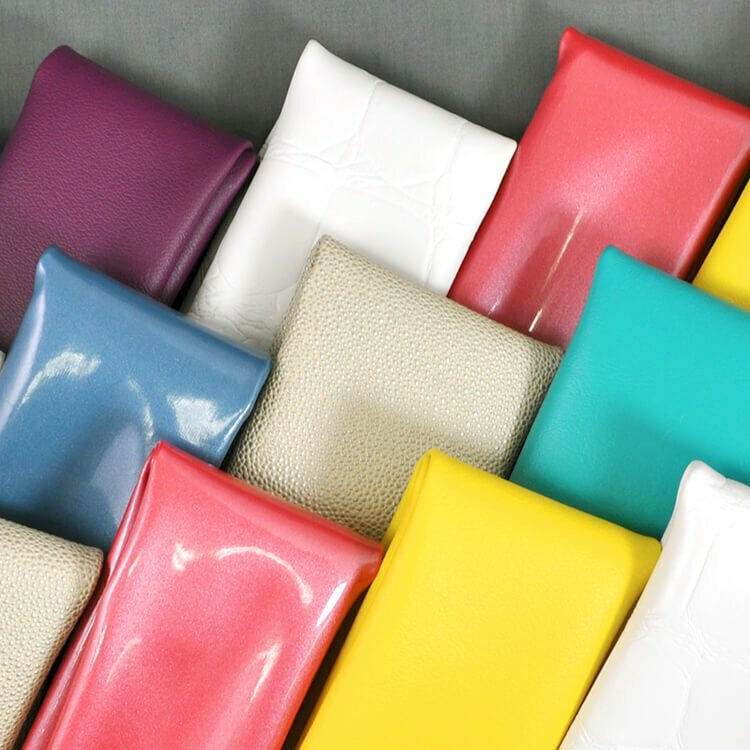 Our selection of vinyl also includes fluorescent, sparkle, pleather, patent leather, PVC-free vinyl, and more. 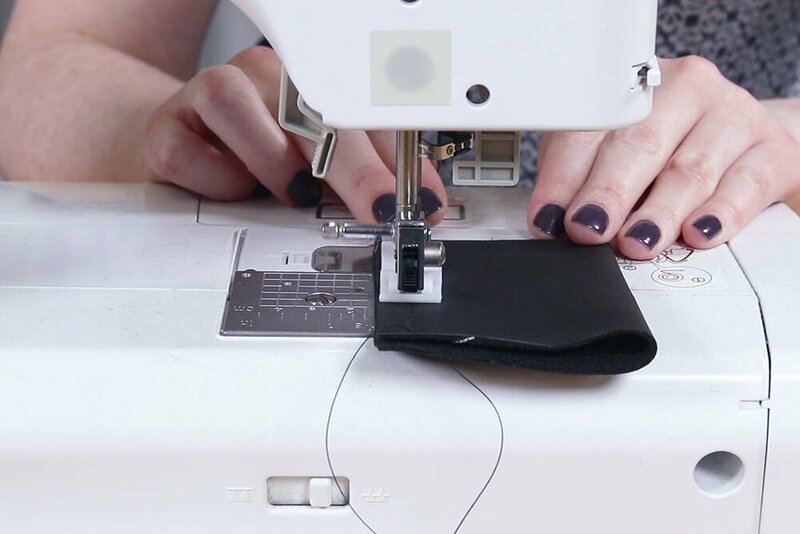 When sewing these fabrics, we recommend using a Teflon presser foot because they tend to stick when fed through the metal presser foot and needle plate. If you don’t have one, you can use matte tape on the bottom of your presser foot. You’ll want to use a longer stitch length than usual because having lots of needle holes close together perforates the fabric, making it more likely to tear. Testing out your stitching before starting is recommended. The tension will probably have to be adjusted because of the thickness of the fabric and thread. Check out our selection of Vinyl & Leather fabric. What thread is best suited for topstitching leather for furniture upholstery? BEST ANSWER: I would recommend using a heavy duty nylon thread for topstitching leather. What fabric is used to make surf shorts?